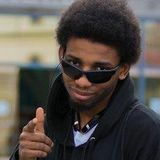 6WX is an SSB4 Sonic player from Williamsport, Pennsylvania, who is currently residing in Lansdale, Pennsylvania, and is considered one of the best Sonic player in the United States, and one of the best Sonic players in the world, alongside Wrath, KEN, komorikiri, Manny, and JaKaL. 6WX is currently ranked 2nd on the Philadelphia Power Rankings and 34th on the Panda Global Rankings 100. He has taken sets off of top players such as MkLeo, Tweek, Dabuz, Nairo, Mistake, Cosmos, CaptainZack, Larry Lurr, ANTi, and WaDi. ↑ Circa eSports signs 6WX. ↑ Official Statement Regarding 6WX.